Diesel is so cute, Love the pics and those booties. what camera did you end up getting if you don't mind me asking? Your dog is adorable!!! Loving this outfit girl, those boots are gorg!! Love this look! I am so ready for fall weather but it was 80 this weekend! Hopefully it will cool off in the south east soon! LOVE those booties.. so pretty! 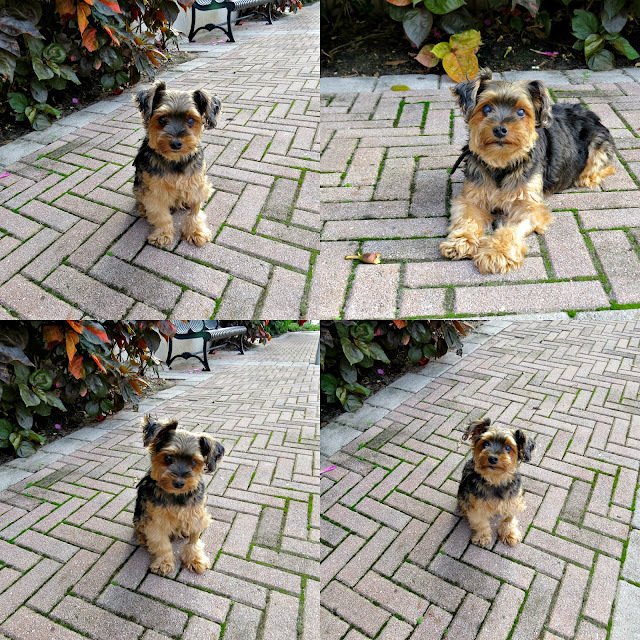 You pup is so cute! Great pictures! Good luck with the move and I can't wait to see your new closet. That cardigan is so nice for only $22 from Target! I'll have to go check out their fall pieces soon. I hope the camera situation works out... that's one of my biggest pet peeves - bad online shopping experiences! Love the Diesel pics ;] That cardigan is amazing too! This outfit is amazing...such a great fall look! Best of luck moving, I agree...it's the worst!! You look amazing and so cool and chic! Glad Diesel is feeling better- what a cutie! So happy that Diesel is feeling more like himself! He is so adorable. And I love your outfit- perfect fall transition pieces! Good luck with the move and I can't wait to see your new closet!! I love that you're still dressing for Fall (with color and pattern) even though the weather isn't there yet. It's a little cooler in Alabama than it was in Florida a couple of weeks ago but I'm craving the crunchy leaves, chilly mornings kind of days everyone else seems to be having right now! Those boots are to die for! Love them! Darling! So glad your cute lil pup is doing OK. I hear you on the weather; California is the same way and so indecisive... hot one day then cool the next. I'd really love some 65/70 degree consistency! Anyhow, LOOOOOOVE the boots with this. I just bought that Target cardi, can't wait to wear it! I'm hoping for fall weather here in Texas too! Anyway the cutouts & being an ankle boot, I feel you can get away with wearing now. Love the dash of leopard to the outfit!! Moving is seriously the worst. I HATE it. Love those booties and the cardigan! And your pup is too cute! Hope he is doing well! I love this look! Those boots are so fun with this outfit. Love this look! Such a cute dog too!!! 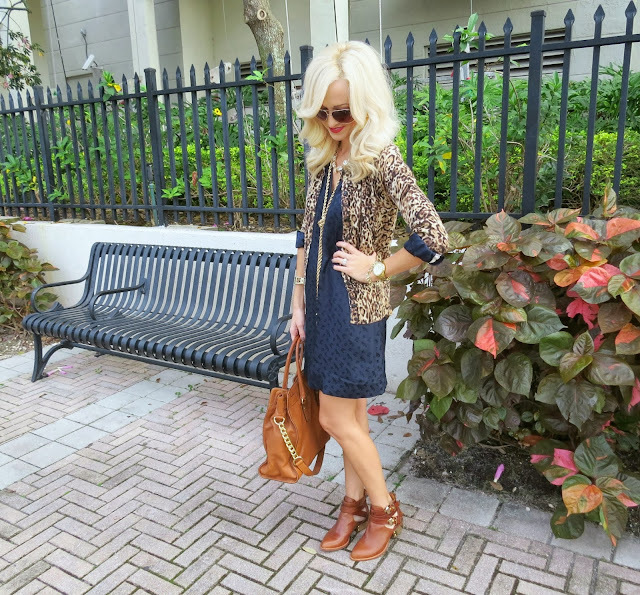 Leopard is one of my favorite prints! Love this outfit! obsessed with this whole look!! i have to have that cardi! what a great fall look! i love diesel updates! he does look like a teddy bear!! i'm just gushing over these adorable photos of him! i'm so happy he is doing better with the new medication. i hope he continues to do better!